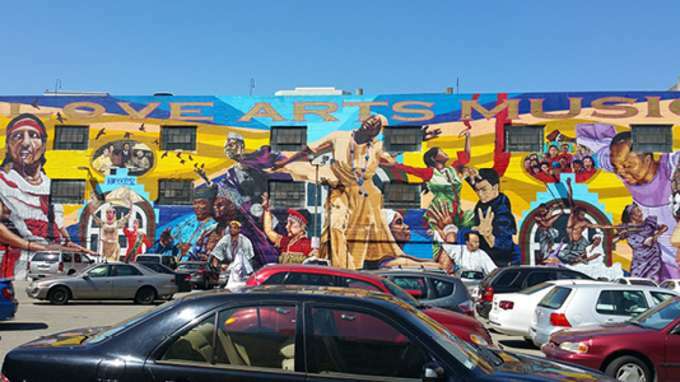 The streets of Oakland are filled with more than 1,000 murals making the city itself a museum. 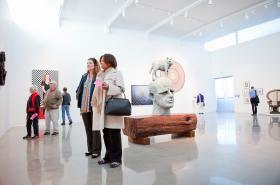 Artists come from all over the world to fill our enormous canvases but of course, we favor those created by Oaklanders. Here are a couple of groups that are doing valuable work in the community through their mural projects, and be sure to check out the blogs below for a glimpse of some of Oakland&apos;s more memorable murals. Community Rejuvenation Project: The Community Rejuvenation Project cultivates healthy communities through beautification, education, and celebration. 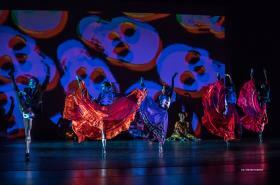 They achieve this mission through experiential programs that promote professional development, artistic and cultural expression, and community empowerment. The group is behind the famed Alice Street mural. 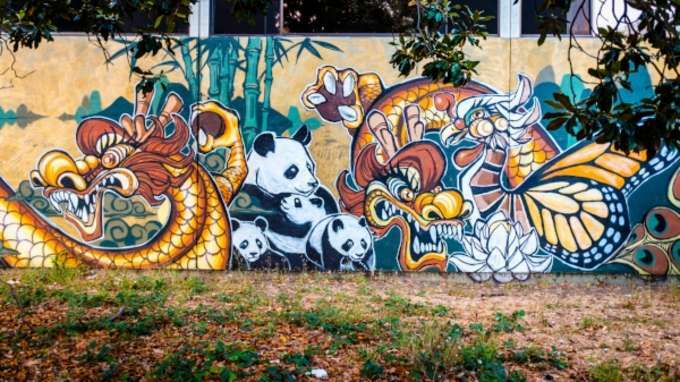 Dragon School 99: Dragon School is a group of artists beautifying Oakland&apos;s Chinatown by painting murals with Asian themes. Local students and members of the community are invited to join them in painting the murals. Their artists are skilled instructors to show even those with no artistic background how to do basic graffiti art. 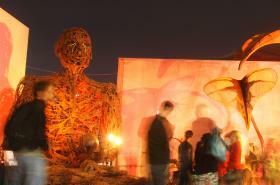 The art project helps people to be active in their community and adds a sense of pride and ownership. 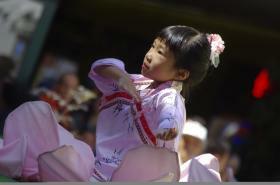 Click here to view the map they created with Oakland Art Murmur of the Chinatown Murals. Graffiti Camp for Girls: Graffiti Camp for Girls&apos; mission is to develop the talents and create opportunities for girls creating public art. Participants learn the process and skills to collaboratively create a mural based on themes decided by the participants. The artists provide creative counsel, image planning, an understanding of tools and application, and safety precautions necessary to use these tools and materials. The end result of each camp is a mural designed and executed by the girls themselves. Learn more about Graffiti Camp here. Oakland Mural Superhero Project: Oakland Super Heroes Mural Project (OSH) is a crucial community development effort led by Amana Harris, Artist and Executive Director of Attitudinal Healing Connection (AHC) in Oakland. The goal is to resolve issues that plague our city, create jobs for artists, enhance our neighborhoods and reduce blight. 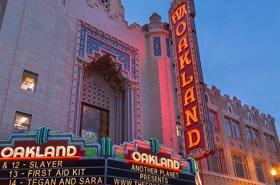 To date, the project has completed 4 murals in Oakland. Visit their website to see the finished products, and them come see them in person! We teamed up with The Bay Area Mural Festival to put on The Oakland Mural Festival as part of the first ever Oakland Art Month . The Oakland Mural Festival brought together some of Oakland&apos;s master muralists and Oakland youth through a series of artist residencies and workshops culminating in the painting of 9 new murals in Jack London District of Oakland. No matter where you go in Oakland, there is always someone reppin&apos; The Golden State Warriors! 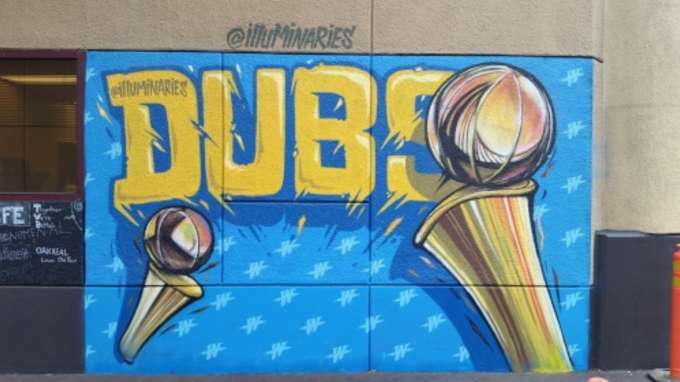 Whether you are visiting for a Warriors game or just part of Dubnation looking for things to do, you have to check out these Warrior Murals!